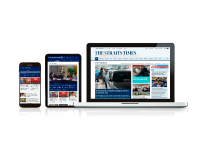 Enjoy access to every story, every feature and all the insights, across 4 mobile devices simultaneously. Valid for new subscribers only, tap into the many features of ST package at the introductory price of $0.99* per month! The terms herein apply in addition to our Standard Terms and Conditions. The promotional price for the Package is SGD$0.99 per month for the first three (3) months, and SGD$29.90 per month thereafter. You may cancel your subscription to the Package at any time. If we receive your notification to cancel before the second last day of the month, we will stop charging your account from the next month onwards, and your access to content under the Package will continue for the remainder of the month that you had notified us to cancel. However, if we receive your notification to cancel on or after the second last day of the month, we will stop charging your account from the following month onwards, and your access to content under the Package will continue for the remainder of the month that you had notified us to cancel, through to the end of the next month. Only new subscribers (i.e. 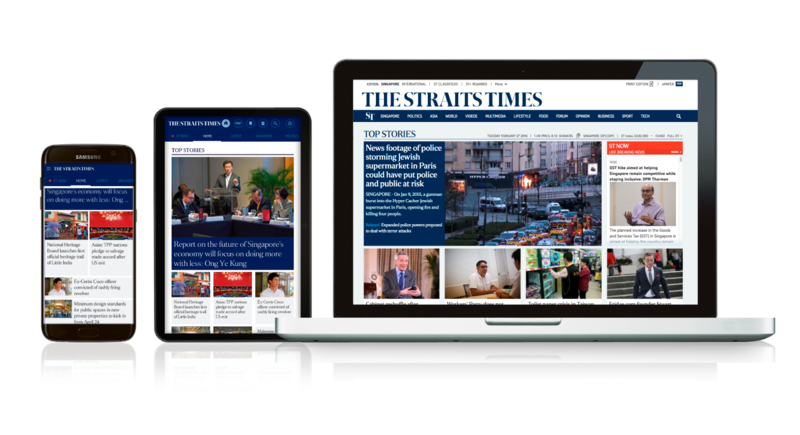 those who do not have an existing subscription for the Straits Times registered to their email address) are eligible for this promotion. For the avoidance of doubt, ST subscribers with contract, Package, and/or bundle package are not eligible for this promotion. In addition, ST subscribers who have terminated their subscriptions in the past 90 days are also not eligible for this promotion. To qualify for the above-stated promotional price, you must (a) take up a New Subscription (as defined below) to the Package, and (b) your duly completed subscription application form must be received by SPH within the relevant promotion period (“Promotion Period”). Requests for extensions of the Promotion Period will not be entertained, and applications for subscriptions received by SPH after the Promotion Period will not qualify. SPH has the right to determine your eligibility for the promotional price for the Package at its sole and absolute discretion and its decision thereon shall be final and binding. 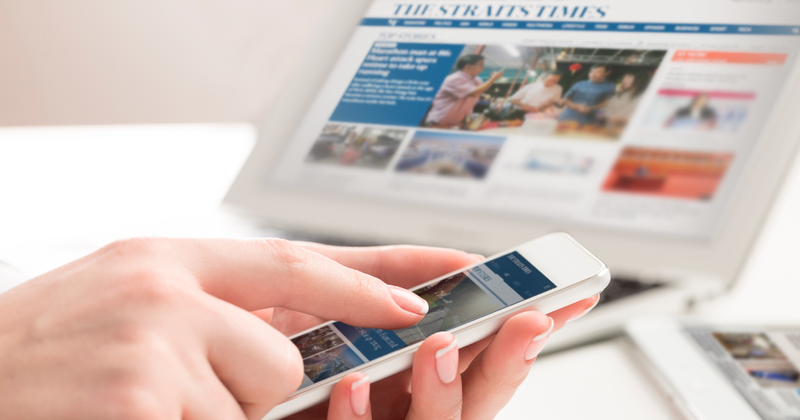 Unless SPH has stated expressly otherwise, each subscriber may only enjoy one promotional or premium offer at any time. The terms herein shall be governed by and construed in all respects according to the laws of the Republic of Singapore and the parties hereby agree to submit to the exclusive jurisdiction of the courts of Singapore.